Brasilia has the highest GDP per capita among the major Latin American cities. Unlike many other cities in Brazil, Brasilia is an administrative division rather than a legal municipality. 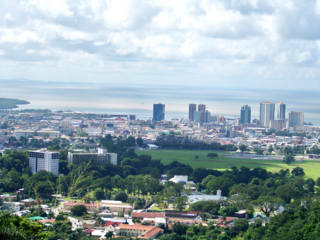 In 2003 the city hosted the 14th Hang Gliding World Championship; one of the categories of free flying. A prophecy told in the 19th century predicted a civilization would thrive around an artificial lake. Brasilia, in fact, lies between the predicted parallels around Paranoa Lake! The official national language and the language taught in schools is Portuguese, but English and Spanish are taught as well. Opened in 1971, the first shopping center built in Brasilia was the Shopping Conjunto Nacional; it is also the second mall built in Brazil. Though Brasilia is one of the most expensive cities to live in in Brazil, as of 2013 it was number 77th in the world. 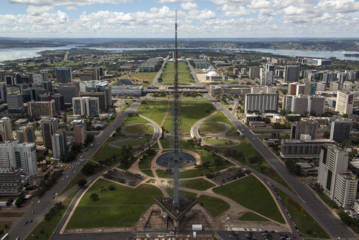 In 2010, a survey ranked Brasilia the fourth most populous city in Brazil. The seasons in Brasilia are defined by its degrees of humidity: one season is very dry while the other is comparatively humid. From 1763 to 1960, Rio de Janeiro was the capital of Brazil. After Brasilia's construction was finished, it became the capital in 1960. The federal capital of Brazil and the seat of government of the Federal District.